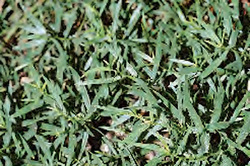 Site: Tarragon likes a full sun and sheltered area in rich light and dry soil. It is very important that it has good drainage; add sand or grow it in a large container to make sure the roots will not rot and die. Bring it indoors, either as a potted plant or take cuttings, to grow over the winter months as it sometimes does not come back the following spring because of wet soil. Growing: Thin or transplant plants to 12 to 18 inches apart. Cut back in autumn. Protect in winter with straw or mulch. Tarragon is suitable for growing indoors. Remove flowering shoots to maintain the supply of fresh leaves on the bush. Harvesting: Pick leaves anytime. Main crops occurs in late summer (June to October). If cutting branches, sever maximum of one to two-thirds of branch to allow for regrowth, unless it is the end of the growing season. Tarragon does not dry very well so freezing is the best method to preserve the flavor. Culinary Uses: Chop the leaves very fine to extract the flavor for cream sauces and béarnaise sauce. It can be added to chicken or tuna salads, omelets and quiches, mayonnaise and mustard salad dressings. Try making flavored butter and combine with dill and parsley for baking or broiling fish. Chopped leaves can also be steeped in wine vinegar to produce tarragon vinegar.